You have asked that your child become a member of the family of God through Baptism in the Catholic Church. 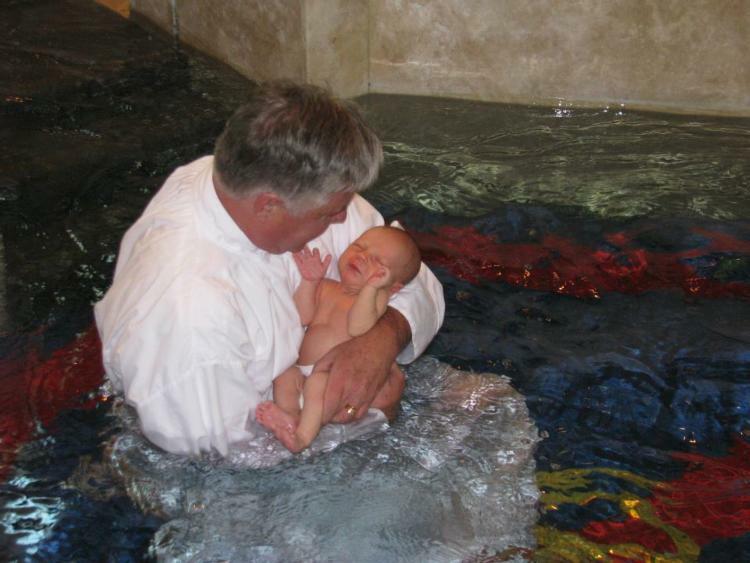 We rejoice with you as you prepare to celebrate the Sacrament of Baptism for your child. We promise to support you and the godparents you choose as you fulfill your obligation to bring up your child within this community of faith, living as Christ has taught us through word and example – loving God and neighbor. This information outlines the requirements to celebrate the Sacrament of Baptism at St. Ignatius of Loyola Catholic Church. Your child must be six years old or younger on the Baptism date. If your child is 7 or older, please contact our Formation office for details on preparation for Baptism. The two-part preparation classes are required for all parents (Registration is not necessary and there is no fee). Godparents are encouraged, but not required, to attend these classes either here or at their home parish. Classes are valid for 3 years. There is no nursery available at this time, children are allowed if no other alternative is available. If you are a registered member of another Catholic parish, you must also provide a letter of permission from the pastor of your parish in order to have the Baptism at St. Ignatius Loyola. If you are not registered in any parish and you do not live within the boundaries of St. Ignatius of Loyola, you must provide a letter of permission from the pastor of the parish boundaries in which you reside. Once you have completed the classes please turn in the required paperwork to the front office. The parish Office of Liturgy and Sacraments will follow up with you to schedule a date for the Baptism.